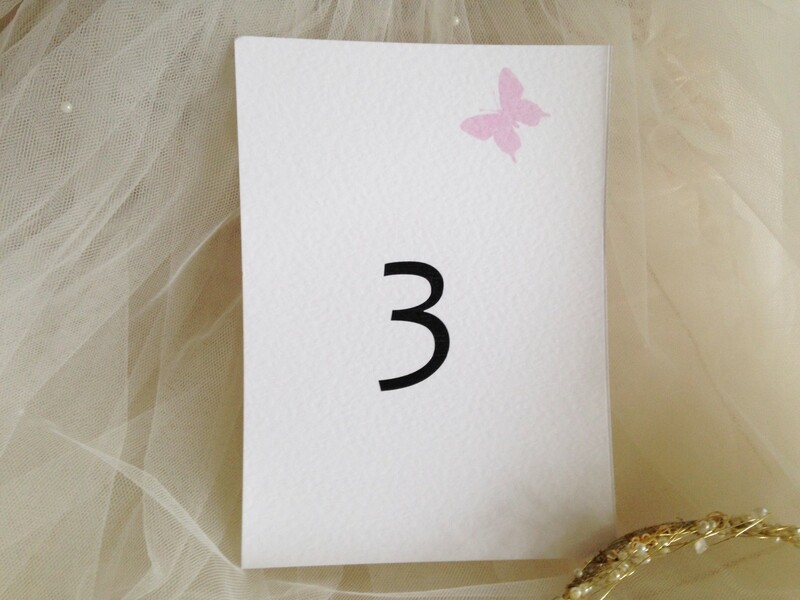 Our A5 Pink Butterfly Table Name and Table Number Cards are available on a thick (270gsm) white or ivory hammered card. Choose you font style and colour to match a theme. Table Name and Number Cards printed for all special occasions. Printed on hammered card in white or ivory. Numbers/design printed on both sides and text can be printed in any colour to match your colour scheme. 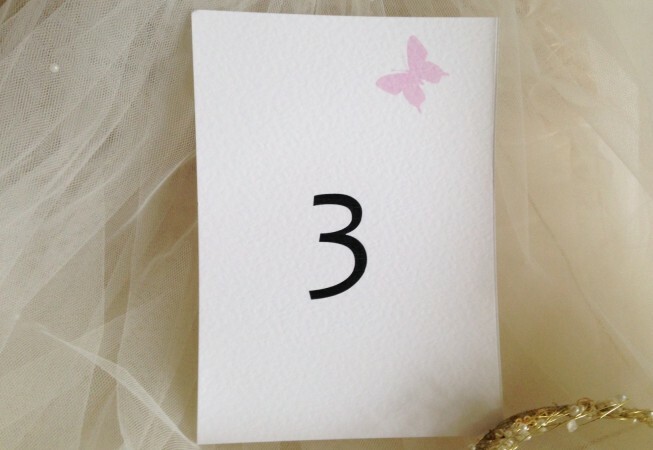 Its popular to choose table names rather than table numbers. Its actually quite easy to think of something if your try. Think of a small list of things which are personal to you set around your wedding theme, places you’ve been or hobbies and interests.